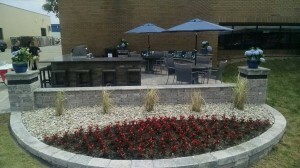 As you design your outdoor space consider creating distinct areas. These spaces can be defined by changing the elevation with 1 or 2 steps or by adding seat walls. 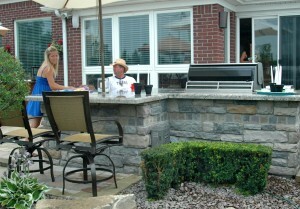 Seat walls also provide added seating for large get-togethers and eliminate the need for extra furniture. 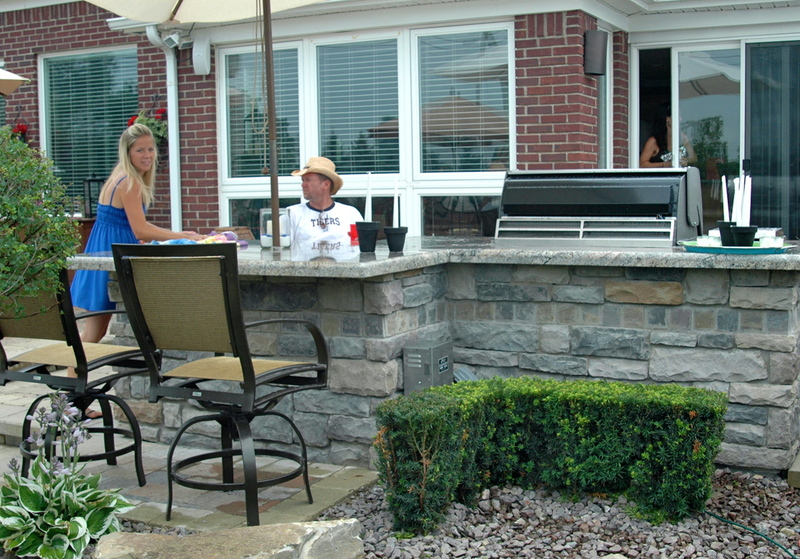 Anchoring walls with pillars adds a nice touch to the design and can be used to mount beautiful and functional lanterns. 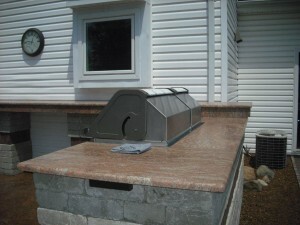 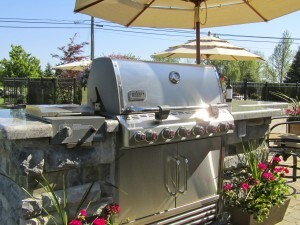 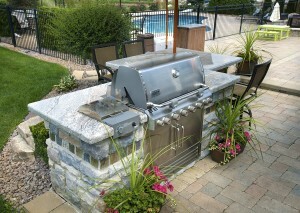 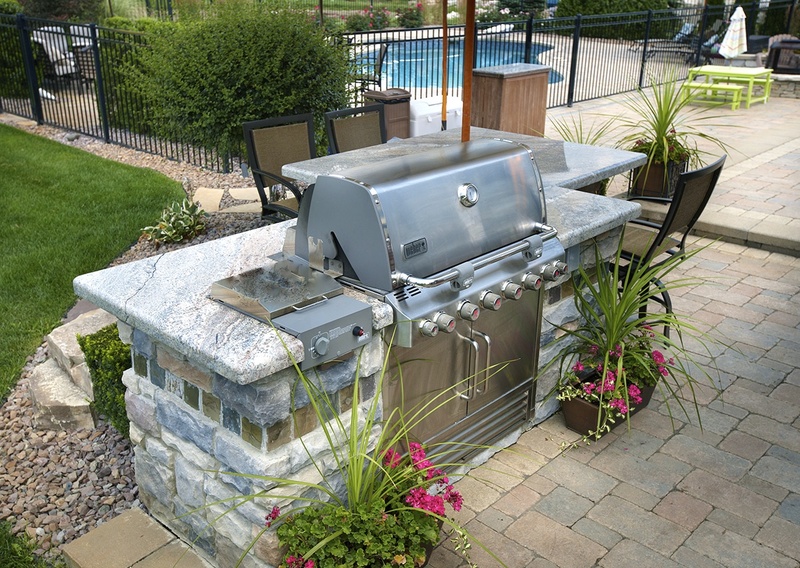 If cooking outdoors is your passion you may consider adding a kitchen to your patio. 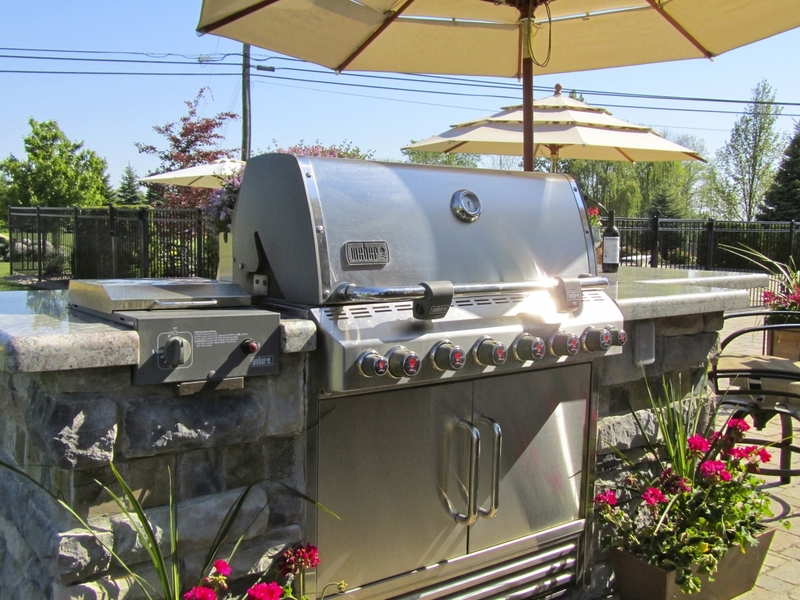 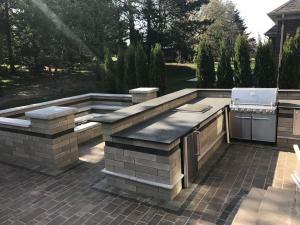 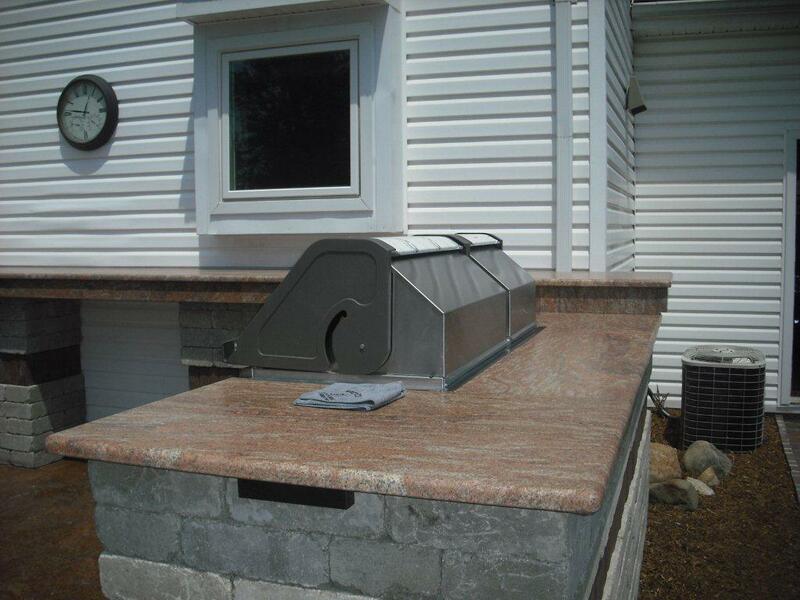 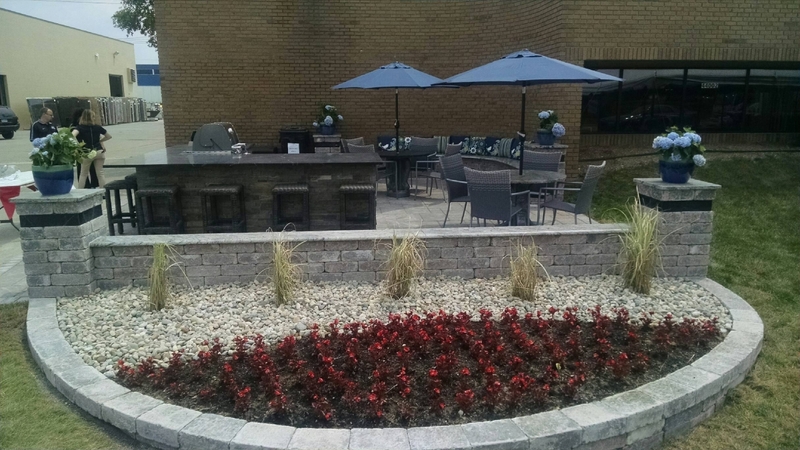 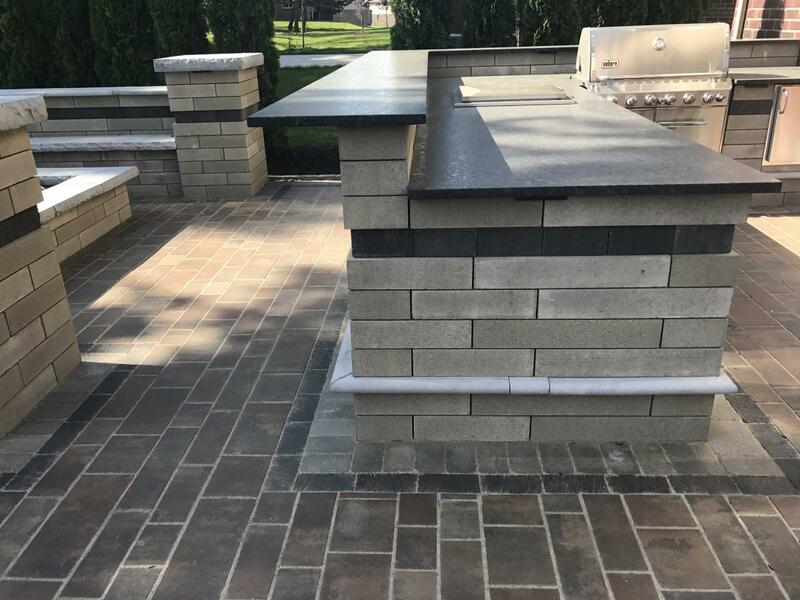 BBQ grill islands, outdoor pizza ovens, designated eating areas and amenities such as an outdoor fridge are all great options that help to transform your patio into an outdoor living room.